Yad Vashem strongly condemns the unprecedented antisemitic attack against the Jewish community of Squirrel Hill, Pittsburgh. In our post-Holocaust global society, there is no room for antisemitism, racism or xenophobia. Yad Vashem deeply identifies with the victims, their families, neighbors and community. "We are particularly sensitive to the toxic dangers of antisemitism, in its many forms and contexts, and to its destructive implications – not only for Jews, but for all of civilized society," Yad Vashem Chairman Avner Shalev comments. "At Yad Vashem, we have learned, and ardently teach, about the painful truth of the fragility of democratic societies, and the need to perpetually buttress their effective commitment to tolerance, pluralism and human rights." 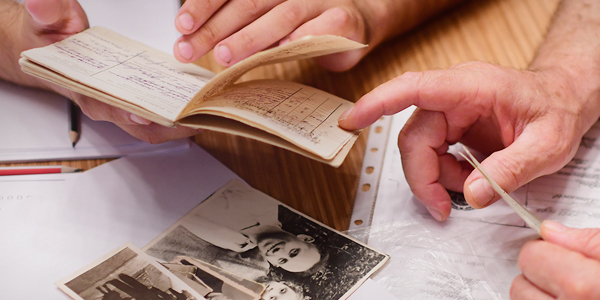 For this very reason, Yad Vashem, the World Holocaust Remembrance Center has increased its educational activities devoted to combating contemporary forms of antisemitism. Specifically, the Yad Vashem online course "Antisemitism: From Its Origins to the Present", which has engaged thousands of people from all over the world, examines two thousand years of antisemitism and its expression in modern day forms of hatred.